Tamer's story is a unique one; he was searching high and low for the perfect dog to be a companion for his aging large breed mix. He stumbled upon the Alapaha Blue Bloodl Bulldog and fell in love. In fact he fell in love with this unique and rare breed so much he ended up with a pack of them and his own kennel. Being one of the only ABBA registered breeders for the Alapaha Blue Blood Bulldog in Canada he wanted his dogs to be perfect. This led him to Randy who has trained all of his bulldogs. 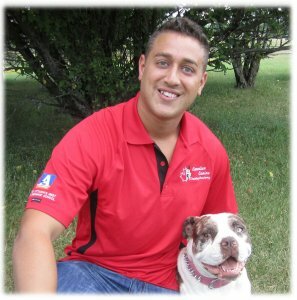 Tamer was so impressed with Randy and his training philosophy that he enrolled in the Canadian Canine Training Academy as a professional dog trainer. 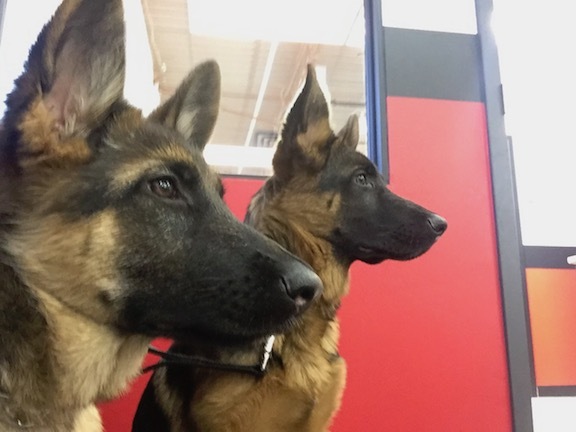 Having an amazingly trained pack at home, Tamer realizes the importance obedience has for a happy, healthy and long relationship with your canine. He wants to be able to give others that same feeling he has at home with his dogs because nothing is better than having that strong bond with mutual respect that we all crave with our canine companions. Tamer wants to be able to give people not only a great companion but a well trained, obedient and loving companion that will leave the owner with many years of great memories rather than frustrating battles between them and their dog.